A recent workshop in Kenya combined licensing and negotiation skills development with training the trainer approaches. 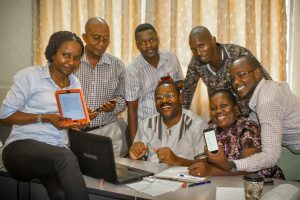 As one component of our programme for Strengthening Research and Knowledge Systems (SRKS), INASP is working to ensure universities and research institutions have the means to provide adequate and sustainable access to the information resources that are the necessary foundations for their teaching and research. 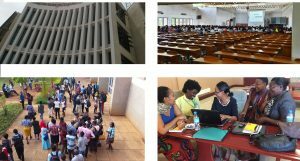 In Africa, national library consortia have been formed to benefit from the economies of scale that come from collaboration, and the ability to share scarce skills more effectively. 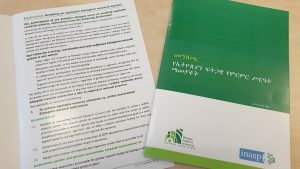 One of the messages INASP heard back from the meeting of seven African consortia held in Addis Ababa in July, was that they want and need to build a wider pool of consortium members with the expertise to negotiate and manage the complex licences that access to online journals and books typically requires. The July meeting was very effective in starting conversations between the consortia, which have since been continued directly or through INASP communities of practice. We therefore concluded that there would be similar value in bringing some of the consortia back together to discuss licences. With this in mind, a workshop was held in Nairobi in November 2015 for four representatives from each of KLISC (Kenya Library & Information Services Consortium), CUUL (Consortium of Uganda University Libraries), CARLIGH (Consortium of Academic and Research Libraries in Ghana) and ZULC (Zimbabwe University Libraries Consortium), with our experienced facilitator, licence negotiator and consortium advisor, Helena Asamoah-Hassan. Since 2014, INASP has run regional licensing and negotiation workshops in Latin America, Asia and Africa. Consortia have been able to learn from each other and share experiences, an opportunity that consortia consistently tell us is valuable. We have been able to adapt and extend these workshops, ensuring that each region is able to focus on the most relevant challenges and solutions for them. This is an important growth in professional skills. But it’s also a critical role consortia are playing in the development of their universities and research institutions. By quietly developing these skills and building relationships with publishers and vendors, they are not just providing access to information, but they are ensuring that their institutions get best value from expensive investments in essential materials for their staff and students. And in doing this they’re helping to ensure that the investments being made in IT facilities can translate into real learning opportunities. This is important because, while open-access resources – free to access at the point of use – are growing, much of the world’s critical academic knowledge is still only accessible through paid subscriptions, and likely will be for some time to come. In planning the workshop, INASP realized that, while the participants were very keen to learn more, this is a complex topic to get to grips with, and that three solid days of a workshop discussing licensing terminology and negotiation would be very heavy going. As the consortia wanted participants to share their learning, and for this to be done in an accessible manner for member librarians, we added a training of trainers (ToT) component. Looking at the licensing workshop materials, it seemed logical to break from the fairly traditional pattern of a content-specific workshop first, followed by a few days on training. Therefore, we devised a workshop programme with licensing content in the morning and sessions on learner-centred training in the afternoon. Four of the workshop participants were part of the INASP Network of Trainers and offered to facilitate the afternoon sessions. The aim of the INASP Network of Trainers Initiative is to develop and support a network of trainers equipped with learner-centred knowledge, skills and attitudes, which the library consortia could access and with whom INASP could collaborate with on future workshops. The approach puts the individual at the centre of learning, assuming responsibility for her or his learning while the trainer is responsible for facilitating the learning. Twenty trainers from the CUUL and CARLIGH library consortia were invited by INASP to participate in the initiative. The trainers’ knowledge, skills and attitudes were developed through two face-to-face Training of Trainers workshops and three-month follow-up activities. They also had the opportunity to test and explore their newly acquired skills and knowledge and to further develop professionally through an online Community of Practice. The additional outcome was that the afternoon sessions reinforced and clarified understanding of the morning content. INASP Associate Dianne Miles, who attended the workshop to share her publisher perspective on licensing, commented that “interspersing Training of Trainer sessions worked very well and significantly reinforced learning and involved participants. Increasing the time spent and opportunity for active participation in role plays worked really well and clearly enhanced learning.” Having a whole group feedback on role plays of consortia negotiating their licensing terms was positive and constructive. Many thanks to Helena Asamoah-Hassan, Peter Weche, Annelise Dennis and Dianne Miles for taking these different aspects and combining them into such a successful whole. And also thanks to the participants, among them the ToT facilitators, without their commitment and enthusiasm this workshop would not have been so beneficial for the consortia. 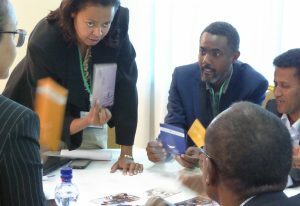 Lead facilitator Helena reported back to INASP: “The participants at the L & N Nairobi Workshop were round pegs in round holes, the right choices as they were ready to learn to be good negotiators. If all workshops have such enthusiastic participants facilitation will be very easy and very productive.” And also thanks to Veronika Schaeffler, program assistant at INASP for contributing to this blog post.